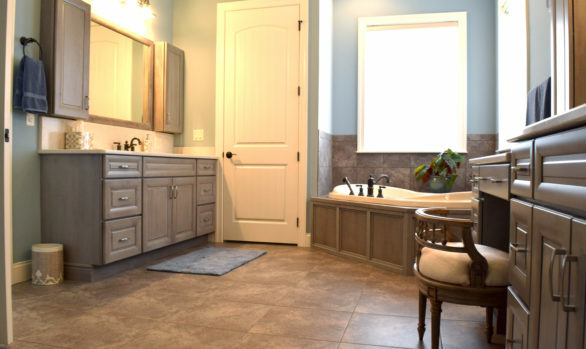 Our design team’s objective was to install additional cabinetry to the homeowner’s master bath area. The goal was to coordinate the new cabinets’ style with the existing pieces. We installed new additional cabinetry to close off the open portion below the dressing drawer area. 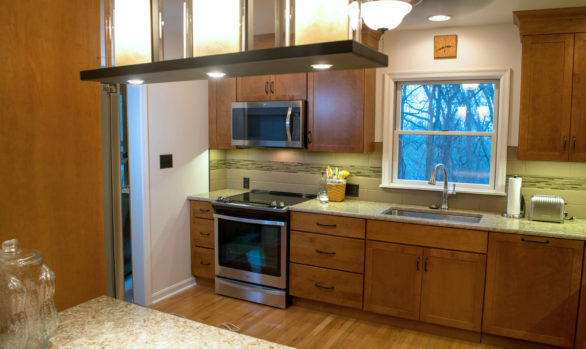 We further enhanced the space with a storage cabinet on top of the countertop. This provided our client a beautiful place to house her mirror and assorted decorative items. An electric outlet inside of the cabinet was included for the hand mirror to plug into. The additional cabinetry’s wood species and door style are slightly different than her existing styles; however, we were able to nicely blend them.